Momentum is starting to build for the creation of the Mary Lake Nature Park as more people attend our “Spirit of Nature” Walks and fall in love with the beauty. Because the land has been under conservancy ownership since 1947, when Gertrude Snider bought it from a logger; Mother Nature has had 70 years to do her work. Many groups have also been booking private tours with each person giving a minimum $5 donation and others purchasing a Guardian of Mary Lake Membership so they can attend monthly walks for free. 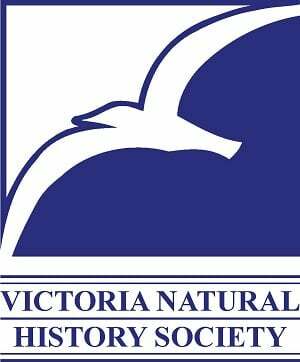 On March 26th a group from the Victoria Natural History Society spent some time cataloging the birds on the property and are coming back in May when the migrant birds return. They were also identifying the many mosses that carpet large areas of the property. Members of the Victoria Club Tread who came out to the March “Spirit of Nature Walk” were so inspired they organized a private guided walk and slide show at Mary Lake on April 9th – over 40 people attended and also saw the slide show in the nature house. They expressed lots of enthusiasm and one of the resident beavers did a lovely swim across the lake for them. Sat. 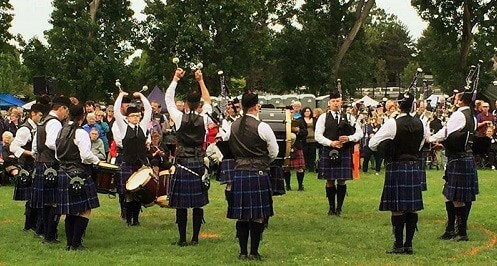 April 29 at Mary Lake – 1772 Millstream RD. ​ while creating a new link for a 25 km hiking trail loop. Check out the lineup and get an entrance and shuttle bus ticket early to help us plan and fund-raise. Entrance is by $10 min. donation or free with Guardian of Mary Lake Membership. Children under 12 are free.Parking is limited so check out the option to park at Western Speedway and take a shuttle bus on our Event Page. 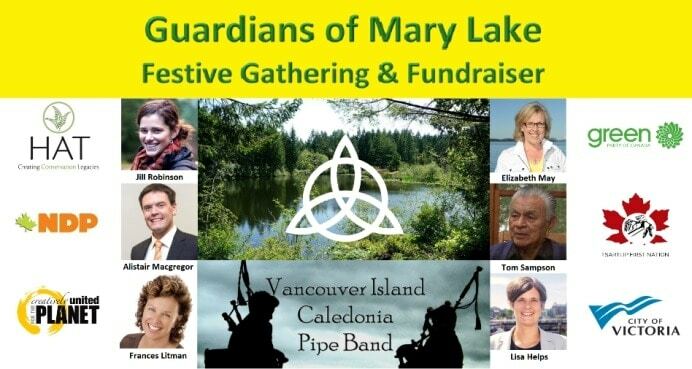 Looking forward to hearing the pipes and drums of the VanIsle Caledonia Pipe Band in the forest by the lake. Follow this link for times and other important details​. 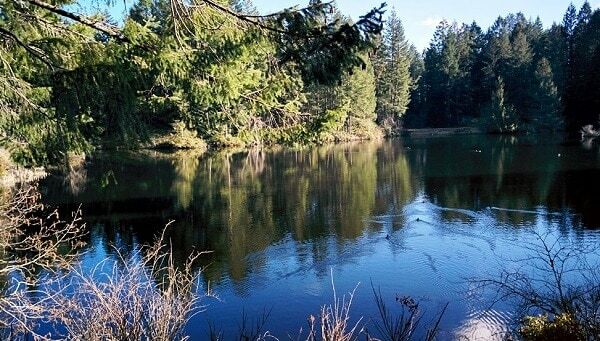 Do you have some time, energy or skills that you can offer to help us in our efforts to create Mary Lake Nature Park? The hard work of the three feisty Highlanders of the Greater Victoria Greenbelt Society has paid off. 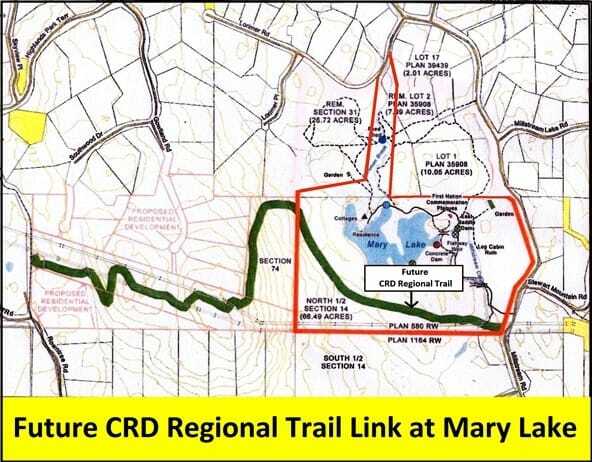 Their initiative to acquire the 67 acre lot surrounding Mary Lake has made it possible for the CRD to now purchase a hiking trail corridor from them for $500,000. 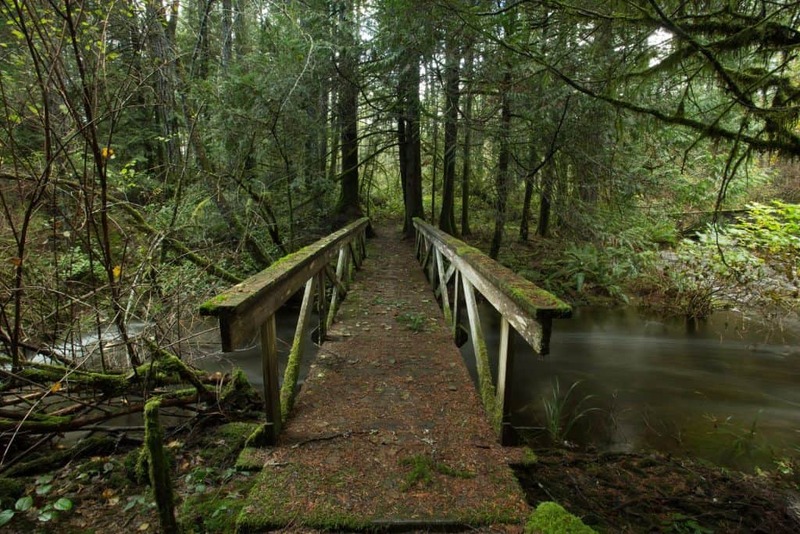 This protects the forest and ecosystems from development and helps to pay off the mortgage. Thank you CRD. He thanked the society for having the vision to get this process started and the CRD for creating the connector. “It’s pretty amazing … You can access it from anywhere,” Williams said, pointing to the ways the trail will link neighboring municipalities. Hats off to Ken Williams, Mayor of the Highlands for his strong advocacy for the Mary Lake Trail Link as a board member at the CRD.